Midcentury dresser with five unique legs and four drawers. The handcrafted drawer pulls are one of our favorite features. This piece is in great condition. 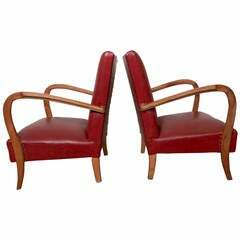 A Vienna Secession Thonet bentwood armchair #511. Stained beechwood with an upholstered seat. 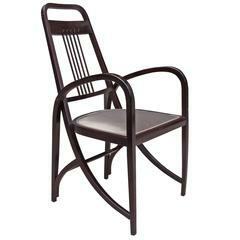 Beech bentwood with caned seat and backrest. Made by Zöbl & Prochaska Mährisch Weisskirchen, circa 1890. 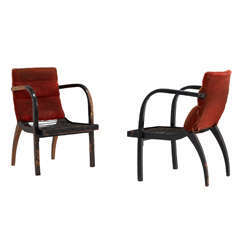 It is very similiar to Thonet Nr. 11 chair. Fully restored.